Time and again, an offshore Limited Liability Company (LLC) has proven to be an effective asset protection instrument. By building a wall around your assets that you declare to be part of an LLC, you help safeguard them from future lawsuits that may be brought against you as an individual. 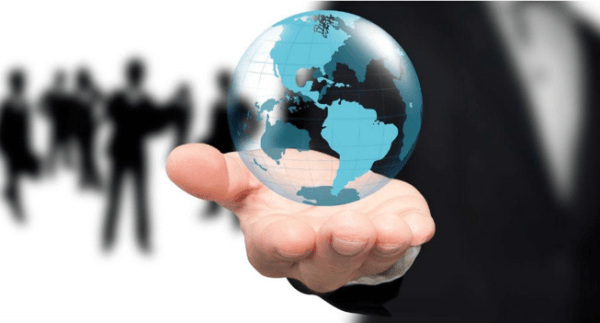 Establishing an offshore LLC provides a nearly impenetrable layer of security for you and your assets since these countries have laws that are specifically formulated to create a safe haven for assets that are, in a manner of speaking, brought to their shores. The Cook Island LLC and the Nevis LLC are two offshore asset protection instruments that offer strong measures against predatory claims. Both countries strengthened their asset protection legislation. Cook Island did so in 2009 with the Cook Islands International Limited Liability Companies Act, and Nevis as well with its Nevis Limited Liability Company Ordinance (Amendment), 2015. In terms of membership composition, operation agreement, stance towards foreign judgment, and level of privacy, there is very little to differentiate one LLC from the other. This is because the latest revisions to both country’s trust and LLC legislation closely capture and reflect the prevalent business and legal environment at the current time. There are minor differences between a Cook Islands LLC and a Nevis LLC when it comes to charging order limitations, however both have specific and strongly-worded asset protection legislation and they are strictly enforced. Both locations permit the establishment of a single-member LLC. At the same time, neither impose a limit on the number of members that may comprise an LLC established on their friendly shores. Cook Island and Nevis LLC owners can participate in the management of the LLC without personally being liable for any debts or obligations that the LLC may incur in the normal course of business. They can also elect to have the LLC managed by a non-member with particular expertise in the business arena where they operate. To enhance an LLC’s asset protection feature, it may be recommended that the LLC be managed by a non-member foreign director, in this instance, a registered trust or LLC manager who is a resident of either Cook Island or Nevis. A foreign LLC manager is not subject to the laws of a member’s home country and therefore, does not have a legal obligation to follow a court order coming from any other jurisdiction except where the LLC is domiciled. This is an option available to LLC members in both countries, as an additional asset protection measure, but it is not required for an LLC to be legally established and recognized. The structure of a Cook Island LLC is highly flexible and this holds true for a Nevis LLC as well. The Operating Agreement can include any type of code of conduct, member responsibilities, or regulations that members wish to include (as long as these are legal), as well as those they specifically prefer to leave out. Each location has certain statutory provisions that are imposed for the protection of members. Within wide legal boundaries, members can structure the LLC to suit and serve the purpose for which they are forming it in the first place. This flexibility only adds to the ease of establishing and operating an LLC in either location. In addition to being an effective instrument of asset protection, an offshore LLC gives members a highly-prized ‘commodity’ in this increasingly wired (bordering on intrusive) world – privacy. Establishing a Nevis LLC does not require the public filing of member names nor any other information about them. Future changes regarding membership or assets are handled through the registered agent. The same is true for establishing a Cook Island LLC. Members are free to run their LLCs (whether directly themselves or through intermediaries) without unwarranted scrutiny. This blanket of privacy also means it is highly unlikely that a creditor in a member’s home jurisdiction will find out about the member’s connection with an offshore LLC outside of formal discovery. Members can keep their company records anywhere in the world where they judge the records will be most secure. Neither jurisdiction require an annual inspection of accounts or records. Renewals are handled by the LLC’s registered agent on the islands. 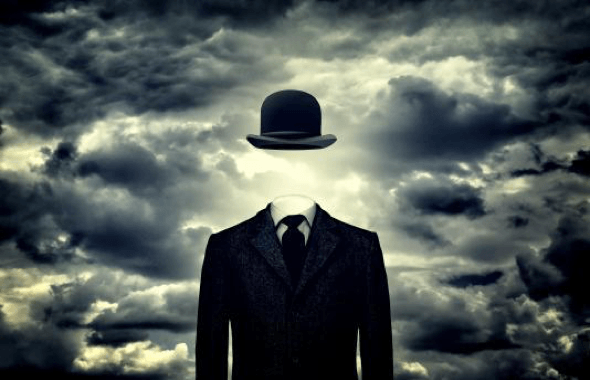 In this heavily inter-connected world, it may sometimes seem that a person’s digital footprint is a mere click of a mouse away from disclosure by just about anyone who has access to the Internet – and a perceived debt to settle. With an offshore LLC in either island paradise, you essentially do not leave readily apparent digital footprints for anyone to trace, achieving a level of privacy that’s tough to follow. 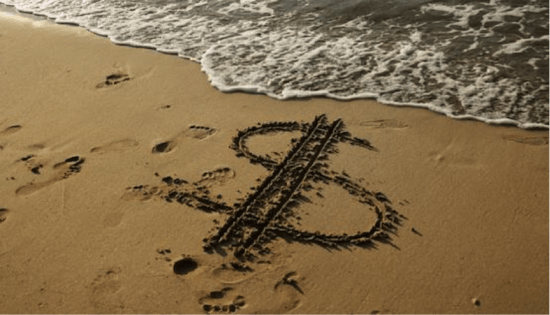 Cook Island and Nevis basically recognize only one lawful avenue of remediation against an LLC that has been properly established under their jurisdiction and that is a charging order. However, both countries strictly define the limitations and scope of a charging order in terms of what it permits a creditor to ‘collect’ from an LLC debtor-member. First, the charging order only covers the percentage of ownership interest that would have normally been distributed to that debtor-member – if any. It does not affect the other assets of the LLC nor the distributions that are due to the other members. Second, a creditor with a charging order against a debtor-member cannot assume that member’s position in the LLC nor interfere with the running of the LLC in any manner. In fact, charging order notwithstanding, a debtor-member can continue to carry out his or her duties and responsibilities as prescribed by the LLC regulations without interference from the creditor. A charging order does not give a creditor any power over or right to liquidate or seize the assets of an LLC to satisfy a debt of a member, or to restrict the business of the LLC in any manner. The LLC can continue to function with its assets intact and the distributions to other members unaffected. Third, both countries severely limit a charging order to the actual amount that is owed by the debtor-member. Punitive, retributory, or any exemplary damages are not permissible. In this regard, a Nevis LLC has a slight advantage over a Cook Islands LLC in that Nevis LLC legislation places a strict three-year expiration limit on charging orders. Current Cook Islands LLC laws have a limit of five years on the effectivity of charging orders. Nevis and Cook Islands are both sovereign countries. As such, they each have their own set of rules and regulations governing LLCs that they hold above the laws of other countries – and rightfully so. Neither country will automatically enforce a judgment issued by a foreign court against a debtor-member. Nevis laws dictate that the creditor must mount a lawsuit against a debtor-member in a Nevis court. Nevis LLC regulations require creditors to pay the sum of $100,000 (EC) to a Nevis court before any action can be brought against a debtor-member of a Nevis LLC. Cook Island does not mandate a similar deposit, although a court may request for one to be made at the start of a trial. 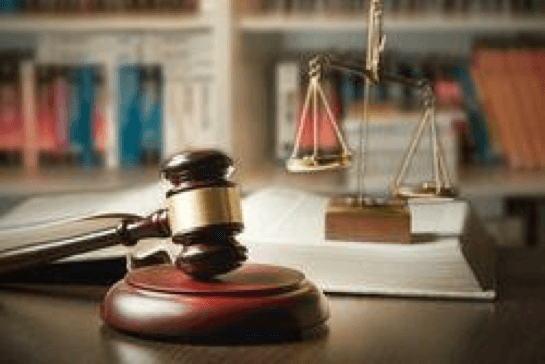 Nevis LLC: Creditor must pay a $100,000 court deposit to initiate a lawsuit. Cook Islands LLC: Deposit not mandated to initiate a lawsuit. Nevis and Cook Islands make it easy for members to transfer their existing LLC to or from almost any country in the world. In Cook Islands in particular, all it takes is a simple application process to re-domicile a foreign LLC to the islands. The registered Cook Islands agent completes an application form with copies of the LLC’s certificate of formation and organizational documents and submits them to the Registrar. Upon acceptance, the LLC is recognized to be a valid and to have begun its existence on the islands from the date it was originally set up in the other jurisdiction. Nevis has an equally simple LLC migration regulation in place. 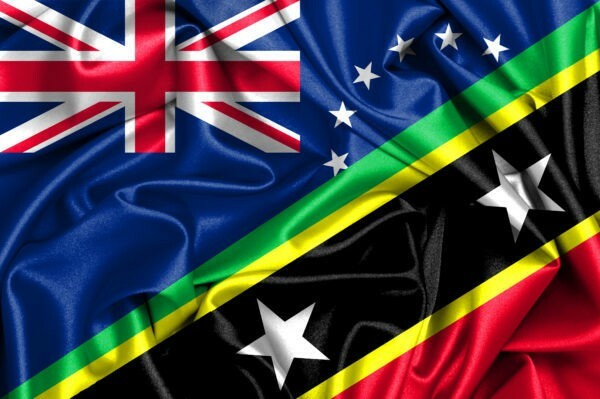 It is important to note that the wording of the Nevis and Cook Islands legislation regarding LLC migration is very specific when it talks about debts and obligations. An LLC takes with it all debts or obligations (including any judgment against it) wherever it goes. While the islands will dutifully protect any LLC that has been properly set up according to Nevis and Cook Islands laws, they will not willfully set aside an enforceable judgment already existing against the LLC at the time of its migration to the islands. So, forming a new Nevis or Cook Islands LLC and transferring assets from that company into it may be a better solution if the existing company already has legal issues. Recommendation to legislators: If the statutes were changed in Nevis or the Cook Islands such that immigrant LLCs shed prior liability, the pendulum could swing widely in favor of that jurisdiction. In the final analysis, the decision to establish an LLC in the Cook Islands or in Nevis will have to take a few things into consideration. Not only should one consider each country’s existing LLC laws (which are clear and comprehensive), but also the other asset protection instruments that are available to you, such as an asset protection trust. In addition to their well-respected LLC statutes, each of these countries also possess asset protection trust statutes that are superior to other jurisdictions. 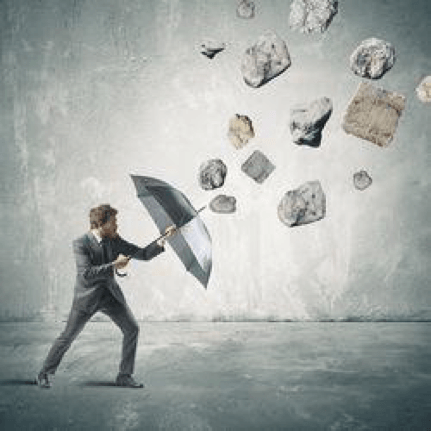 An LLC established in either country offers comparable levels of protection against unwarranted claims against its members through exceptional asset protection statutes and the flexible structure of the operating agreement. In addition, both regions are independent, sovereign countries. So, they offer further protection to LLC members by not automatically enforcing foreign judgments without first subjecting the matter to the veracity of their own laws. Both countries accept a charging order as the only remediation against a debtor-member of an LLC that has been properly established under their jurisdiction. Moreover, both also severely limit the scope of a charging order. Nevis has a slightly shorter period of time when it will consider a charging order to be effective (three years) when compared to the Cook Islands (five years). Suffice it to say, both offshore locations provide clear and comprehensive asset protection laws that are strictly enforced in their respective jurisdictions – much to the collective sigh of relief of LLC owners and members everywhere. 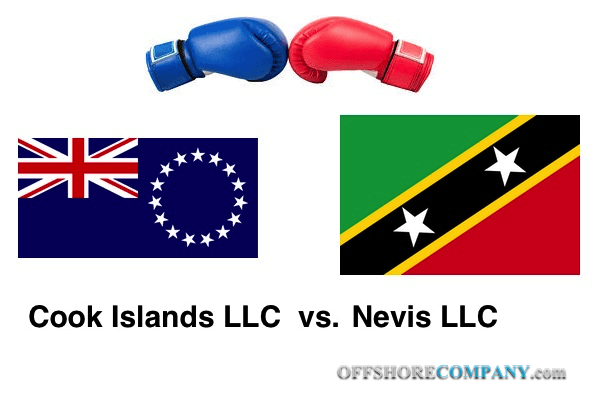 Whereas LLC laws are constantly improving, as of this writing, the Nevis LLC has the slight advantage over the Cook Islands LLC.